The superfood that looks gross but tastes great. Protein is considered a great natural diet weight loss strategy. If you are dieting and watching your weight, you’ve probably already heard the gurus extol the benefits of eating protein. Unfortunately, one of the foods they push the most is low-fat cottage cheese. Sites like Blogilates push you to add it to everything and even make ½ cup of it a bedtime snack. Seriously? The cruel and hard truth is that cottage cheese is loaded with casein. This protein takes forever to digest, leaving you full a long, long time. That is amazing news for natural diet weight loss! If you eat cottage cheese made from 1% milk, you’ll only consume 80 calories in ½ cup. That is assuming you can actually eat cottage cheese. As if anyone can actually eat cottage cheese. 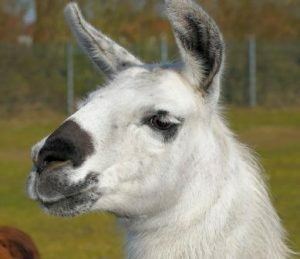 Drama Llama rejects your cottage cheese! The worst thing about cottage cheese is eating it. So many articles, blogs, and studies say that cottage cheese is the Holy Grail of protein. The problem is actually getting the stuff in your mouth, chewing, and then attempting to swallow. It isn’t pretty. I’ve tried to eat plain cottage cheese. Really I tried! Each time I managed to close my eyes and get a spoonful in my mouth, what my taste buds recognize is a huge Nope Sandwich. There was not going to be any chewing, because my mouth wasn’t participating. My mother says a lady never spits, well I never said I was a lady. Nope and Spit! While cottage cheese might be good for natural diet weight loss, this stuff will never work if you can’t eat it. If anything, I am determined. So, I set about finding ways to trick my mouth into eating cottage cheese. The trick I discovered is making cottage cheese into something else with another consistency. Cheese Dip. Why didn’t I think of this before? 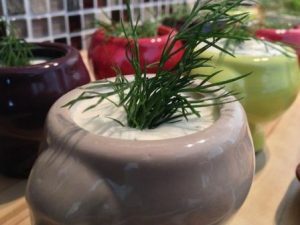 Put your cottage cheese in the chopper or food processor and take it for a whirl with some herbs. Voila, you have a high protein dip for veggies that no longer looks or tastes like cottage cheese. I’ve served this at get-togethers and no one was the wiser! Smoothie Protein. If you are into smoothies the way I am, you can run ½ cup of cottage cheese and a small amount of water in the blender or Vitamix instead of using yogurt in your morning smoothie. But trust me, do this first before adding your other ingredients or Nope-A-Saurus Rex will swoop in and ruin the texture of your smoothie. 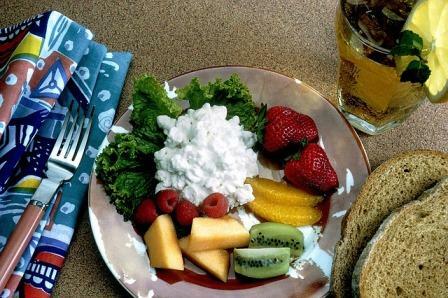 Cottage Cheese Dressing. This one also requires the use of your food processor. Load up your cottage cheese, herbs, and either water or fat free milk. Take it for a whirl until you get the consistency you want. It’s a stretch, but I have made a pretty tasty ranch dressing by doing this with parsley, dill, and garlic. Just add a little vinegar for tang. Ricotta Substitute. After taking a whirl in the food processor, I can substitute cottage cheese for ricotta cheese. This is a great substitution for eggplant rollatini, spinach ravioli, and other dishes that depend on the creamy texture of ricotta, but with a fraction of the fat! No One Said It’s Easy! Losing weight and keeping it off is hard. That’s why you need all the help you can get. Herbal Nitro is your partner in living an amazing life, naturally. 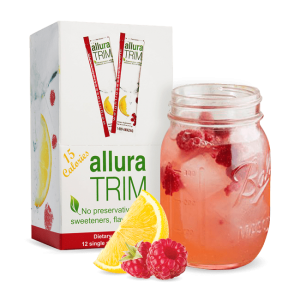 Natural diet weight loss supplements like Allura Trim and natural energy boosters like Fuel for the Body can help you reach and maintain your weight goals. If other diet and weight loss supplements have let you down, give us a try. If you’ve got a great tip for choking down cottage cheese or any other trick you use, let us know. Let’s live an amazing life – together!